We have developed a 5.8GHz high speed transmitter for artificial satellites. 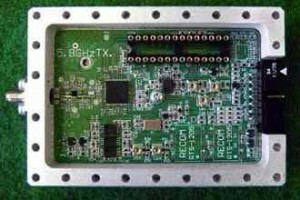 It consists of an exciter module with a 115.2kbps FSK modulator and a liner amplifier which amplifies a 10mW signal to 4W. We are now developing a small artificial satellite named FITSAT-1. It also has the nickname “NIWAKA”. The shape is a 10cm cube, and the weight is 1.33kg. The main mission of this satellite is to demonstrate the high speed transmitter developed. It can send a jpeg VGA-picture(480×640) within 6 seconds. NIWAKA has another experimental mission to test the possibility of optical communication by satellite. It will actually twinkle as an artificial star. NIWAKA’s high power LEDs will be driven with 100W pulses to produce extremely bright flashes. These, we hope, will be observable by the unaided eye or with small binoculars. NIWAKA will be launched from the International Space Station around September 2012 as shown here. 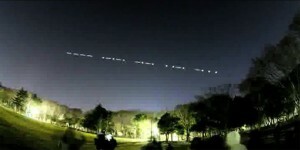 FITSAT-1, will write messages in the night sky with Morse code, helping researchers test out optical communication techniques for satellites. After its deployment from the orbiting lab, the cubesat’s high-output LEDs will blink in flash mode, generating a Morse code beacon signal. 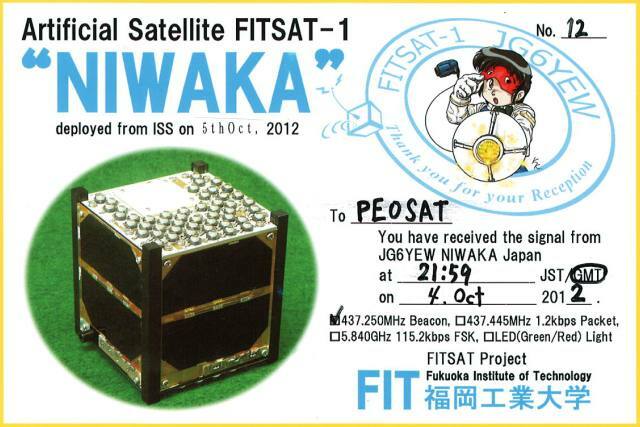 The flashing light from FITSAT-1 will be received by a Fukuoka Institute of Technology ground station that has a telescope and a photo-multiplier device linked to an antenna. Decayed. Launched from ISS on October 4th, 2012 and active. The beacon signal is a standard Morse code CW signal. 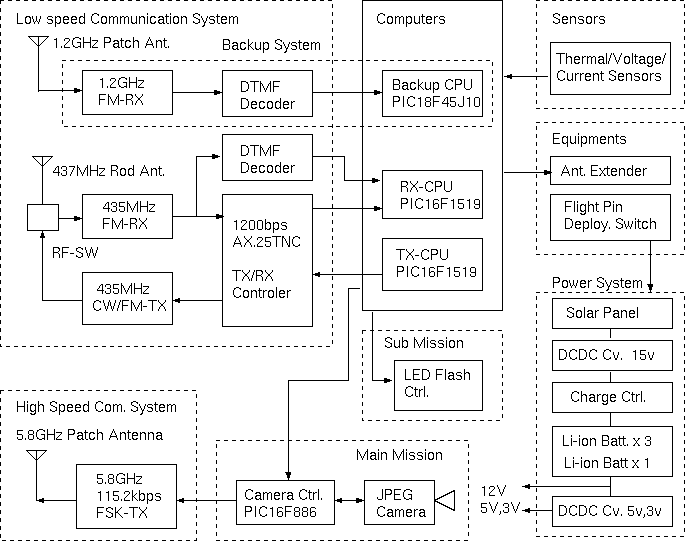 The signal consists of call sign and telemetry data.